Cancer is currently a major health problem that impacts human life worldwide. 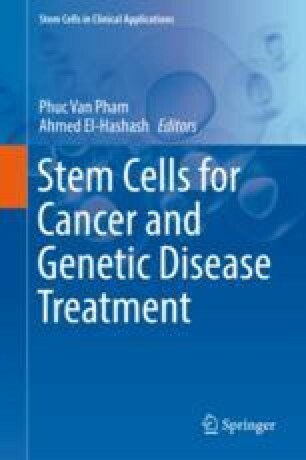 Several studies support the concept of stem cells in cancerogenesis. The cancer stem cell (CSC) population is tumorigenic and displays characteristic markers and properties of stem cells, including self- renewal/proliferation and differentiation. CSCs can play an important role in carcinogenesis. Many therapeutic strategies currently focus on ablating the subpopulation of CSCs using different approaches such as the overcoming of CSC resistance mechanisms or targeting key molecular pathways controlling these cells. Although these therapeutic strategies have few reported side effects, new strategies are still needed. In this chapter, we describe accumulated data on the stem cell concept of cancerogenesis, how dysregulation of stem cell self-renewal affects cancer transformation, and the roles of CSCs in cancer therapy. We also discuss how improving our current understanding of the biology, behavior, and environment of CSCs can help in advancing their applications in cancer therapies, and devising more effective therapeutic strategies and approaches for cancer. The author confirms that this book contents have no conflict of interest.